A mudroom! This space is one of my favorite places in our farmhouse. I’ve always wanted a mudroom. I grew up in a small apartment and never lived in a house until we bought the one in NJ that we left last year. Years of looking at design magazines, and my year as an interior design student in college, just left me with this picture in my head of what domestic living should look like. And one of those pictures is having a happy, functional space for the mess of everyday life. Not to hide it away, but to give it its own room to kind of revel in the mess of family life, without destroying the rest of the house. This is also the height of privilege, having an entire room in a home that’s basically for dirty shoes, but as a kid with limited privacy and space it’s just something I dreamed of. 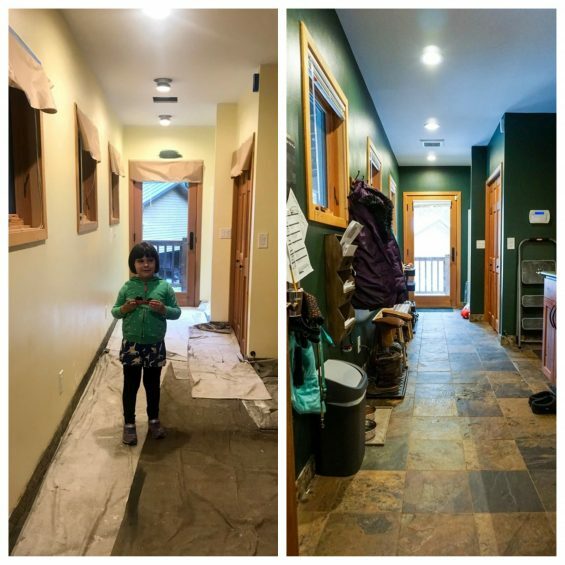 And here’s the before and after for ours. 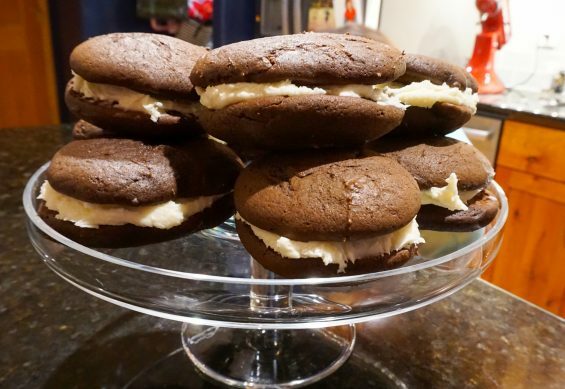 Whoopie pies are just the best, and they’re easy to make at home with kids. Whoopie pies, we’ve learned, just aren’t really a thing in Washington. And they’re H’s favorite treat, and something she’s been missing from NJ (Whole Foods made really good ones back east, but all the baked goods at Whole Foods here in WA are too…healthy). So, I’ve started making them. The Christmas batch was such a hit that she wanted to help me make some more this past weekend. Sunday night while my beef roast cooked we made them for dessert.